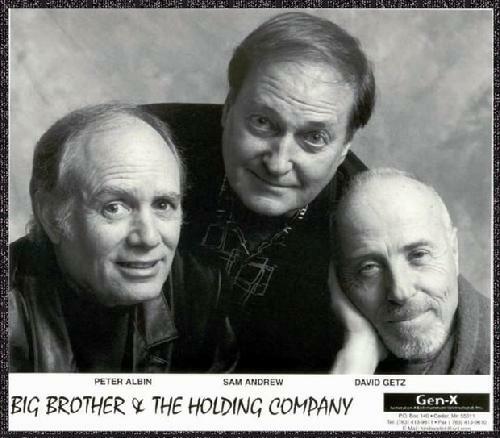 Andrew and bassist Peter Albin formed Big Brother and the Holding Company in 1965 out of the San Francisco folk scene. It was their manager Chet Helms that convinced a young blues singer out of Texas named Janis Joplin to join Big Brother instead of her native Austin’s psychedelic rockers the 13th Floor Elevators. With Joplin, Big Brother and the Holding Company recorded two albums, their 1967 self-titled debut and their 1968 classic Cheap Thrills, as well as performed a legendary set at the Monterey International Pop Festival in 1967. Those two LPs also yielded singles now found on Joplin greatest hits collections like “Down on Me,” “Summertime,” “Piece Of My Heart” and “Combination of the Two,” which Andrew penned. By the end of 1968, Joplin and Andrew left Big Brother and the Holding Company so the singer could pursue a solo career. Together they recorded Joplin’s solo debut I Got Dem Ol’ Kozmic Blues Again Mama! The following year, Andrew rejoined a newly reformed Big Brother and the Holding Company to record Be a Brother; that lineup would stick together for three years before disbanding in 1972. In 1987, Andrew and Albin again reunited Big Brother and the Holding Company, and the two founders, along with drummer Dave Getz, would continue to perform together as recently as October 2014. In addition to Big Brother, the guitarist also fronted his own Sam Andrew Band.